PHP social network - It's a Pi! While developing this app I used the CloudPebble IDE which has amazing integration with the Pebble Android App allowing me to run my app on my watch from the web browser with access to the logs. It also has a Pebble emulator if you don't have access to a watch. I intend to add additional features in the future when I have a need to monitor other information about my servers. After building Pebble Info I wanted to get into the Pebble C SDK. I decided to follow the Pebble SDK Getting Started guide to help me learn to build a watchface. I wrote this app in the CloudPebble IDE because of the ease of installing the app on my watch. However I have also run apps from the SDK installed on my dev machine. Pebble Binary is available to download on the Pebble Appstore. We plan on taking the project further, improving multiplayer support and implementing other block types. Download the latest version here and try it out. It runs best on UNIX with Python 3 but will also work on Windows CMD. With the same name as our web development site, this may be confusing. 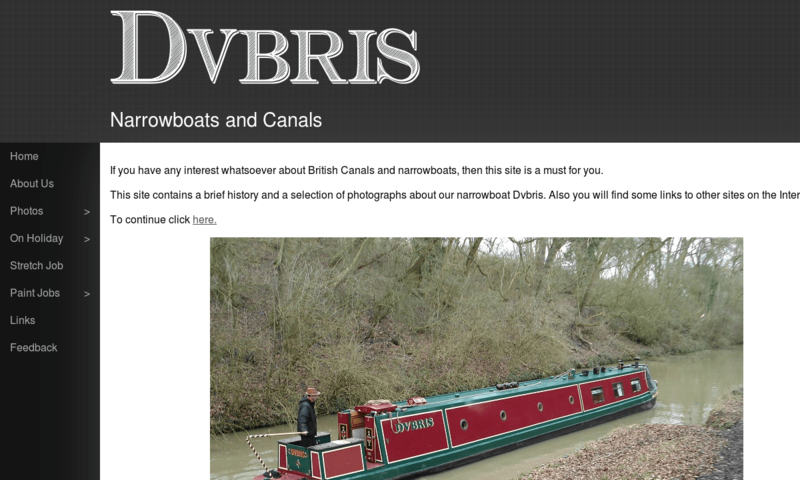 This site is about my family's narrowboat Dvbris. It contains a history of work done on the boat and holidays enjoyed. The reason for the same name is that Olls and I did a lot of our early programming and development on the boat and it was a big part of our lives. The site features a fully responsive navigation menu with fluid animations and touch friendliness which can be found on CodePen. It also features the new responsive CSS technology flexbox which allows the layout to dynamically change depending on the screen size. 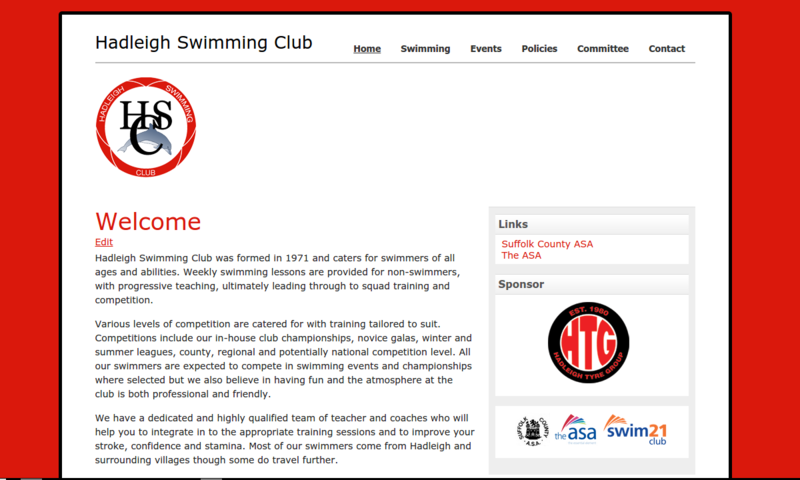 I maintain the website of Hadleigh Dolphins Swimming Club. I used to be a member of the club and was also a teacher there, taking over the role of the webmaster when the previous maintainer had too little time. 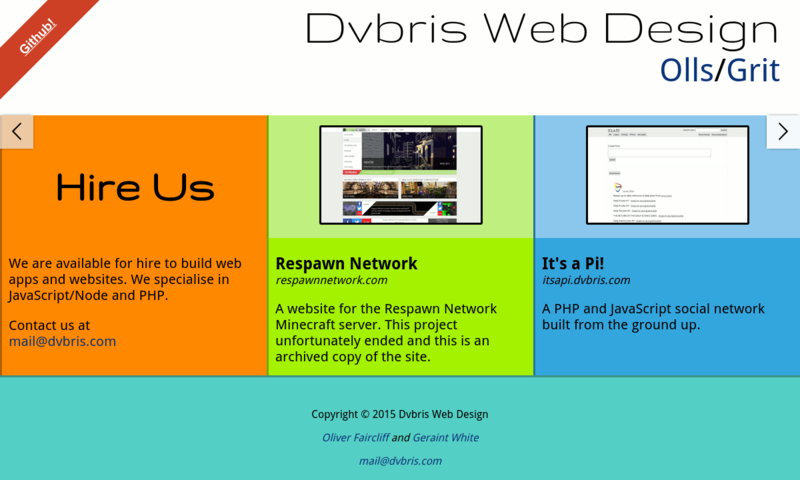 I transferred the site from the old CMS to WordPress and rehosted it on my server.